Magnets have two magnetic poles, north and south. ‘Like’ poles, such as north and north, repel one another and ‘opposite’ poles, such as north and south, attract. Whichever way a magnet is cut, it will always have these two poles. Scientists have theorised for many years that it must be possible to isolate a ‘magnetic monopole’, either north or south on its own, but until recently researchers have been unable to show this in experiments. Researchers at Imperial have now enabled tiny nano-sized magnets to behave like magnetic monopoles, by arranging them in a honeycomb structure. In late 2009, various teams of scientists reported they had created monopole-like behaviour in a material called ‘spin ice’. In these materials, monopoles form only at extremely low temperatures of -270 degrees Celsius. The Imperial researchers’ structure contains magnetic monopoles at room temperature. In this video, Dr Will Branford and Dr Sam Ladak, from the Department of Physics at Imperial, explain how magnets work and why they are so excited by their new breakthrough. More information: “Direct observation of magnetic monopole defects in an artificial spin-ice system” Nature Physics, Sunday 11 April 2010. There would be no positive, if there was no negative. And therefor, the quest to create a self-consistent, reasonably stable, and true magnetic monopole belongs more into the realm of fairy-tales rather than reality. A quasi-monopole (other pole far away, etc. ), on the other hand, is of course quite possible. But that's not the "real" thing they like to talk about so much.. In the video, the second guy, Sam, "argues" that he has been educated that these magnetic monopoles cannot exist on their own, but claims that they do - as long as they're confined to their honeycomb structure. I'm not sure I agree with his definition of "existing on their own." How are such configurations different from a Halbach array? 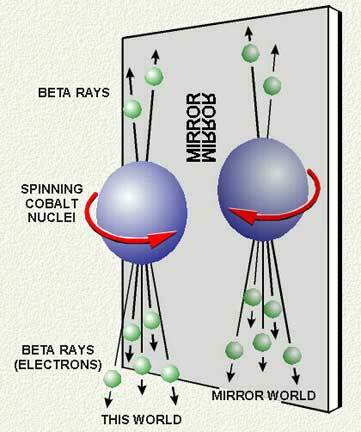 They create magnetic monopole *defects* not magnetic monopoles. It's a completely different thing, locally they may have imbalanced magnetic charges but if they summed over the whole structure they would get complete cancellation. All magnetic effects are due to elementary particle magnetic moments and each such magnetic moment has exactly two poles (defined by spin), so no matter how you arrange them to form atoms and bulk materials you won't ever get one unpaired pole as a result. That would be like adding even numbers and hoping for an odd result. The question is really, is there enough separation between charges to have a real world appliance impact for these monopolized domains? Dirac predicted magnetic monopoles. His assumption is that you can have a phase-angle for a harmonic wave which is a differentiable field within three-dimensionl space. The only possible continuous change with position of the phase angle for a harmonic wave is linear along the direction in which a wave-front is moving. Otherwise it changes discontinuously and can thus not be differentiated or integrated. By wrongly assuming that one can take the gradient of such a phase-field one ends up equating a conservative vector-field to a rotational vector field. This violates elementary vector calculus. It is not possible EVER. For this mathematically impossible reason it is then concluded that a magnetic monople (a conservative vector field) can form from a circular magnetic field. The same mistake is made in the model of Aharanov and Bohm, and in all the presently acceptede models on superconduction. One just cannot violate mathematics to get the physics one wants to get. ...By wrongly assuming that one can take the gradient of such a phase-field one ends up equating a conservative vector-field to a rotational vector field. This violates elementary vector calculus. It is not possible EVER. For this mathematically impossible reason it is then concluded that a magnetic monople (a conservative vector field) can form from a circular magnetic field. The same mistake is made in the model of Aharanov and Bohm, and in all the presently acceptede models on superconduction. One just cannot violate mathematics to get the physics one wants to get. Although you can add a conservative vector field to a rotational vector field such a gauge should not affect the physics modelled by the rotational field in any manner. If it does, the whole argument that one can add any gauge falls away. What is done by these brilliant theoretical physicists is to argue that one can add any gauge without changing the physics and then they choose a gauge to give them the physics they want; It is nonsensical; since the solution they obtain is ONLY VALID for this specific gauge; while the physics should not be determined by the gauge factor at all!! Are people who do this all there? I doubt it very much! They do not just get the physics they want by choosing the gauge but they then even conclude that the gaUge itself can now be a rotational field: WHICH IT CAN NEVER BE! Someones calculus must be flawed because in the real world wierd stuff happens. I bet it is math that changes as understandings develop. In the case of monopoles, common sense suggests, as has been said before here 'how to have a stick with only one end' and I agree. However when physics throws up wierd experimental results it is the math and logic, our understanding that changes and not real world event properties. Keep intellectual arrogance in check, it serves a closed mind. Are you sure you know all the variables that affect the field vectors? Something as yet unknown? As you may know, Roger Penrose also has his doubts about the validity of quantum physics. Please see the Discover Magazine article September 2009 issue; published online October 6, 2009 titled: Discover Interview Roger Penrose Says Physics Is Wrong, From String Theory to Quantum Mechanics. I will disclose why I agree with you at a later date in relation to the electric energy-field around a solitary electron subject. What do you think the unknowns are? Someones calculus must be flawed because in the real world wierd stuff happens. I bet it is math that changes as understandings develop. There is no way that mathemtics can know whether a physicst names a differentiable scalar field a phse angle or not! However when physics throws up wierd experimental results it is the math and logic, our understanding that changes and not real world event properties. Weird physics means we do not understand what is happening. To then think you can model it by violating logic and mathematics is absurd nonsense. Keep intellectual arrogance in check, it serves a closed mind. Are you sure you know all the variables that affect the field vectors? Something as yet unknown? Yes the variables and their properties are well known and well defined: To use calculus on any field. the field must be continuouis and differentiable. This totally mandates the fact that a rotational vector field can NEVER be point for point a conservative vector field. No matter how weird the physics results are. And no matter how much a physicist would like it to be otherwise. Any physics-model cannot be correct if it violates the laws of mathematics! Magnetic monopoles occurs in Nature only in form of black holes, which are exhibiting only one polar jet. Their structure could be represented by vortex ring of rotating compressible fluid, which effectivelly prohibits the emanation of one of jet from center of vortex. The monopoles described in this articles aren't real monopoles. Theyre rather unipolar magnetic domains, which can be modelled by bipolar magnets attached by the same poles against each other. The magnetic field of such magnets is behaving like the source electrostatic charge in certain extent, but it apparently doesn't fullfill the difiniton of true monopoles in simmilar way, like the "monopoles" anounced before few months. Neither these artifacts aren't true monopoles, they're rather long noodle-like dipoles with one end lost in the structure of material. The spin of an electric charge may have special geometric properties that can be manipulated to produce yet to be observed effects. eg: a magnetic monopole. Perhaps the analogy of a spherical spin is not complete. Maybe a charged electric cloud field can have topological attributes, say the field rotates faster in one hemisphere than the other as a simplistic illustration. Could magnetic monopoles absorb energy from one pole to allow a field with an overall imbalance. I do know for sure, that as scientists we will keep up the investigation and as mathematicians we will document what we find. May have, may have, may have: Since when is halucinary speculation science? Let us be practical: A magnetic pole is NOT a REAL object like an electric charge: It is a bunching of flux lines owing to the geometry of the whole magnetic field. The poles are caused by the field being there: The field is not caused by the poles being there. The divergence through a pole stays zero. To have a monopole all the flux lines must either end within the pole or originate within the pole. This means that the pole must define a conservative field which it no can do. Furthermore, it also means that a North and a South pole must cancel each other when they overlap. This is also not possible: For example, when a magnetic field is generated by a current flowing around a single ring, the North and South poles overlap, but one still has flux lines moving through the centre of the ring. So please let's do physics and forget about Dirac's "beautiful mathematics"; which is just plain wrong! Neutrons pushed into tiny regions of space, like the core of a star or a galaxy, behave as magnetic mono-poles that strongly repel each other. Such neutrons are energized by resentments toward nearest neighbors. Neutron repulsion of all its neighbors results in a personality like that depicted by resentments and anger of the Hindu Sun god, Kali. Neutron repulsion is the energy source that powers the Sun and the cosmos. johanfprins: The poles are caused by the field being there: The field is not caused by the poles being there. The divergence through a pole stays zero. To have a monopole all the flux lines must either end within the pole or originate within the pole. This means that the pole must define a conservative field which it no can do. Furthermore, it also means that a North and a South pole must cancel each other when they overlap. This is also not possible: For example, when a magnetic field is generated by a current flowing around a single ring, the North and South poles overlap, but one still has flux lines moving through the centre of the ring. If monopoles existed they would not define a conservative field. Saying that they must define a conservative field but can't for mathematical reasons is not proof they don't exist. It is more proof that the exploration of the physical world has been reduced to the study of mathematics. Maybe monopoles could exist as short lived particles, but it would take a tremendous amount of energy to create them, thereby making them inefficient for any practical use, except for maybe force fields, etc.. Even then, they would probably not be true monopoles, but a substitute for the real thing. It seems to me that a true monopole would turn the physics community upside down and that time could then run both backwards and forwards. It would be like being able to predict the future of real time, which I know of no way that that could ever be possible, or being able to travel back into the past and being able to change the future of real time. Only a deity could do that and I believe even they have their limitations! Neutrons pushed into tiny regions of space, like the core of a star or a galaxy, behave as magnetic mono-poles that strongly repel each other. Please prove that this "repulsion" is caused by magnetic monopoles! This is hilarious: Magnetic poles do not exist as separate entities but suddenly a "monopole" can do so! Tell me where the flux lines of a "monople" come from and where they go to. Please think physics! YOU are the one that want to use mathematics to prove monopoles but unfortunately for you the mathematics you use, and Dirac used, is just not physically possible. I can assure you from my experience that when you have to violate the rules of mathematics your model cannot describe physics. Furthermore, I have found that when the mathematics become "funny" so that you have to "fudge" it by processes like renormalistion, you are not modelling physical reality. Add interpretation to Mathematics and you get (the rest of) science. There are many interpretations. Some wrong. Some right. It is "the exploration of the physical world" that 'proofs' interpretation, not the mathematics. I do not disagree with this. Mathematics is a language which can lie to you: But if you have to violate mathematical rules to model physics then there is NO DOUBT that your model IS WRONG! When it comes to monopoles their possible existence has been derived by violating the rules of mathematics. This is why I am asking for physics to determine the issue: And why I want to know how the magnetic field lines form around a "monopole". This is a simple physics problem which do not require mathematics. I am thus waiting with bated breath! Black holes with one jets are unphysical, too? For example oriented 60-cobalt atom nuclei are emanating electrons in one direction preferably, thus demonstrating property of monopoles. Magnetic fields are a byproduct of electric currents. Look up James Clerk Maxwell before postulating nonsense. Parallel currents in the SAME direction ATTRACT. Parallel currents in OPPOSITE directions REPEL. This effectively generates a dipolar magnetic field when the current flows in a loop, as in a coil of wire or around the nucleus of an atom. Two circular currents flowing in the SAME direction on parallel planes ATTRACT each other. Two circular currents flowing in OPPOSITE directions on parallel planes REPEL each other. This is why you can't get magnetic monopoles. Think about it for a while. You'll get it. "...all steady magnetic fields in the Universe are generated by circulating electric currents of some description. Such fields are solenoidal: that is, they never begin or end, and satisfy the field equation (nabla * B = 0). This, incidentally, is the second of Maxwell's equations. Essentially, it says that there is no such thing as a magnetic monopole." If Maxwell's Wonderful Equations are true, and a century of experiments seem to uphold them so far, magnetic monopoles (ACTUAL magnetic monopoles, not all these so-called "defect-monopoles") DO NOT EXIST. Neutrons ... behave as magnetic mono-poles that strongly repel each other. Magnetic monopoles? Or electric? Electric monopoles = okay (that's just a charged particle, generally). Magnetic monopoles, honestly, don't think so. Maxwell's Equations seem to rule out MAGNETIC monopoles. "When you wrap your right hand around the solenoid with your fingers in the direction of the conventional current, your thumb points in the direction of the magnetic north pole." So, consider two loops of wire (same size, gauge, radius, etc.) with equal current flowing counter-clockwise in both, parallel to the desktop. Now, curl an imaginary right hand around one of the loops. The direction your fingers curl is the same as the direction of the conventional current (motion of protons or +ions). Stick your thumb up. It's perpendicular to the table facing up. That's the direction of magnetic north generated by the electric current in the wires. Guess what, the opposite direction is magnetic south. Same thing in the loop of wire below it. Up is north. Down is south. Since their magnetic fields point in the same directions and opposite magnetic poles of the two loops of current face one another, they're attracted one toward the other. Voila! Magnetism! Switch the direction of one of the loop's current, suddenly the magnetic fields point opposite directions, the same poles face one another, and the "electro-magnets" (loops of wire) repel one another. In the case of bar magnets, the magnetic fields simply come from sub-atomic currents around its atoms. If equal numbers of atoms have oppositely directed CURRENTS (orbiting electrons) around their nuclei, their magnetic fields cancel and there's no net magnetic field. If, some significant portion of the atomic-scale currents flow around their nuclei in the SAME direction, voila, bar magnet! It is hopeless to debate with these people. You have made your point loud and clear. Let them try to prove monopoles can exist and see who wins. Artificial monopoles sound interesting and that is what research should focus on. You can have a mathematical model which seems to fit experimental results but it is based on "virtual reality". The mathematics then "lies". (i) The derivation of the Meissner effect by the London Bros. It is based on the assumption that a circular electric field can accelerate charge carriers within a superconductor; while the experimentally defining characteristic of a superconductor is that its charge carriers do not even SEE ANY applied electric field within the superconductor. (iv) And I suspect that it is also the case for the so-called vector-bosons; and the so-called asymptotic behaviour of nuclear forces. There are many instances like these in physics. Even when the mathematics seem to model the physics, a physicst must not abandon common sense. I am fairly confident that REAL monopoles just cannot exist since there is no such a thing as magnetic charge. I feel sorry for Blas Cabrera who is wasting his valuable time looking for monopoles. Mqmirkin also gives logical impeccable arguments on this blogg why it cannot be so. I doubt very much that Maxwell's equations have to be replaced by the "virtual reality" of "quantised" fields. My analysis so far shows that Maxwell's equations and the wave-equations modelling matter waves dovetail nearly seamlessly, and in the process also encompasses Einstein's gravity ideas. No Higgs bosons required!! TabulaMentis believes "It would be like being able to predict the future of real time ..."
We often predict the future demonstrably through extrapolation and deduction. Go catch a ball. In the meanwhile johanfprins has decided that beyond doubt, the only real objects than can exist must be explainable by our present form of math. Arrogant people are so boring after a while. Using meta-materials and crafted structures we start to explore practical forms of invisibilty cloaks and magnetic monopoles. Perhaps zevkirsh got it right in early comments. How can we use these structures that we now know exhibit these unusual properties? In the meanwhile johanfprins has decided that beyond doubt, the only real objects than can exist must be explainable by our present form of math. This is a blatant distortion and thus an example of a deliberate lie! I have said that any mathematics which violate the rules and logic of existing mathematics should not be used, unless it can be proved that the rules it violates have been wrong all along. The rule that a conservative vector field cannot be a rotational vector field stands as a beacon. Thus any physics-model which violates this rule must be wrong. Dirac violated this rule when he derived monopoles. All the superconduction models, except mine, violate this rule. Aharanov and Bohm violated this rule, and so did Josephson. So stop distorting what other people wrote in order to defend your lack of logic! I am fairly confident that REAL monopoles just cannot exist since there is no such a thing as magnetic charge. I agree here. Polarization of charge appears to be related to weak interaction along field lines under higher energy density as evidenced by the latest observations at the LHC and RHIC. If monopoles can exist, I don't think they are possible at our current energy density. All the superconduction models, except mine, violate this rule. Aharanov and Bohm violated this rule, and so did Josephson. Surprisingly, also correct. Every SC hypothesis sans Johan's does violate at least one "rule" of mathematical modeling. At least every one I have read. We may not agree on QM, but on SC we fall into the same camp. Wave transmission properties appear to be intimately linked to SC fundamentals. Just a thought, would our current SC substances act as magnetic monopoles at higher energy density? Not so: Their analyses predict doubly-charged charge-carriers. After correcting their mistakes you will find that the charge-carriers are singly-charged. We may not agree on QM, but on SC we fall into the same camp. Wave transmission properties appear to be intimately linked to SC fundamentals. Wave coherence plays a role when the injection rate of charge-carriers is high enough. When injecting a single charge-carrier at a time so that a single charge is transferred from one contact to the other, wave coherence is obviously not required. Why would all the charge carriers engage in wave-motion to transfer a single charge? The charge-carriers are fermions each having a "spin". I wish people will get away from the term monopole until they can explain how the magnetic field lines around such a pole are arranged. By the way, superconduction is not pure coherent wave movement: It is a combination of cooperative movement where each charge-carrier moves to replace another charge carrier which then moves to replace the next charge-carrier etc. They are running a relay race. When many charge-carriers are injected, this cooperative movent forms coherent "wave-fronts" on which the charge-carriers move simultaneously to replace the next charge-carriers. When the injection rate becomes too high this movement cannot happen anymore and current flow stops. The latter is not the only reason why current flow can stop, since an increase in EMF around a circuit decreases the binding energies of the charge-carriers owing to polarisation. This diminshes their density and when this density becomes too low superconduction also comes to a halt. I think you have been smoking some strange stuff! I threw out a trial balloon in my earlier comments to see what would happen and I finally got a response. Thank you for responding, but no thanks for the insults. Bluehigh is talking too much philosophy here and not enough science. 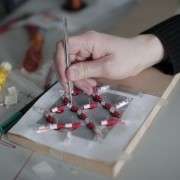 Metamaterials have useful applications just like artificial monopoles may be able to have useful applications. Could monopoles possibly have anything to do with the 'Arrow of Time' at high energies? What necessity or event(s) prompted scientists to theorize the possibility to isolate a magnetic monopole in the first place? They took the wrong turn under the influence of Dirac, Heisenberg and Feynman to believe that an electron has a positional phase-angle which is determined by its past history. In this manner they introduced a phase-field which can never be part of the phase angle of a harmonic wave. This led to the silly result that a conservative vector field can be equated to a rotational vector field: which is mathematically impossible. This in turn led to the conclusion that a magnetic field can under suitable circumstances act as a conservative vector field so that a magnetic pole can act as a source for magnetic energy: This is physically impossible. Basically it just tells us that all of quantum field physics is totally nonsense! There are only fields: The light-quanta are waves having a minimum of energy; NOT particles. A light quantum can be any size! ..A single charged particle will never produce a divergent magnetic field..
Is proton a "single charged particle"? It still contain rather complex structur of quarks and virtual quarks in it, simmilar to tiny black hole. I'm not saying, the proton is such case, but in general sense the distinction between "single charged" and composited particles may not be so trivial. And physicist are looking for monopoles, not for "single charged monopoles" only. checking into flying saucer engines. My experience since 2003 is that it will be no use. I have tried mainstream journals and those that claim that they are more open. But all the hard work did bring some reward: I have had to fend so many arguments (most of them silly) that I came to the conclusion that my insights impinge onto far more aspects of quantum physics than can be addressed in a jounal article which requires a limited length. I have thus started last year to write a book which is rapidly nearing completion. Extracts of this book can be read on my website. Thus before the end of this year your desire that you will appreciate it if I write up my ideas more completely will be achieved. Maxwell's equations only misses quantization effects since Maxwell did not know that a source can generate a light-wave with a quantum of energy. This simply requires the inclusion of Planck's constant into Maxwell's equations. The fact is that cavity radiation does NOT consist of photons flying around in the cavity, but of standing EM-waves: The allowed energy levels can only be calculated by assuming that they are formed by standing waves. The "photons" are injected into the cavity and absorbed from the cavity by quantum-sources in the walls. When such a light wave enters the cavity it has to adjust to the boundary conditions: It morphs by expanding and entangling with a standing light wave; in the process losing its identity as a quantum of energy, and thus increasing the intensity of the standing wave. A photon is a wave; NOT a particle. I think what he said was that the honeycomb structer creates a defect that looks like a monopole. They didn't say it was an actual monopole. The fact that it actually functions LIKE a monopole is very interesting. The fact that it actually functions LIKE a monopole is very interesting. Does it ACTUALLY! I doubt it. Define a monopole please. Is it a "charge" which generates a rotational vector field? Is it a "charge" which creates a conservative vector field as ALL source-charges do? Then it cannot be a magnetic field since ALL magnetic fields, by their very definition, must be rotational.